Inspired once again by Bahrain, design duo Noor Rashid Al Khalifa and Haya Mohamed Al Khalifa, sent out dusty tones of sand, pink and blue haze for Spring / Summer 2019. To create drama, a basic core of clean optic white and black were added to the mix, thus eschewing tradition of avoiding black for spring collections. Perhaps, it is because the LBD works so well, that women in general depends on it so much. Maybe, it is just to emphasize white. No matter what the reason, the two opposing color ways made a dramatic statement on the catwalk. And the best thing, these silhouettes can be sold right of the runway! So, it is truly a win-win for Noor by Noor though their color choice raised a few eyebrows. “Silhouettes are influenced by traditional Middle Eastern costume, which also inspires the manipulation of printed lines around the body,” they said in their press notes. With the emphasis on “influenced,” Noon by Noor created modern silhouettes that are so easy to wear that makes one think that comfort and chic goes hand and hand. 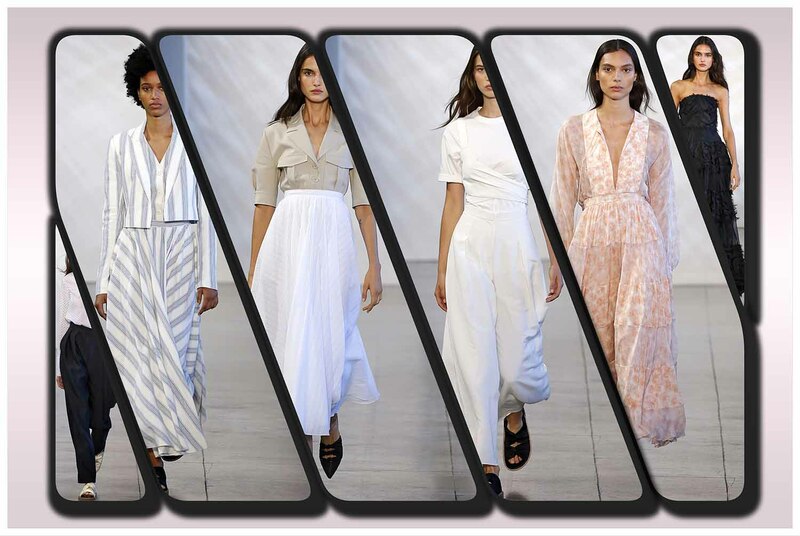 With this beautiful collection, Noon by Noor officially kicked off the Spring/Summer 2019 season of New York Fashion Week.